Since the phone interview is usually an employer's initial screening, many professionals think the phone interview isn't as important as the real, face-to-face conversation. We spoke with dozens of hiring managers who said they wish more candidates treated phone chats the same as in-person meetings. Too many candidates make the mistake of breezing through the call in their PJs instead of being prepared and on top of it like the real thing. After all, the phone screening is a bridge you have to cross to get in the lead for the spot! As CareerBliss readers, you know much better. Hiring managers want to hear a strong, positive voice as soon as you pick up the phone. Consider answering by mentioning your name: “Hello, this is Bob” can avoid initial awkwardness and help things move along. 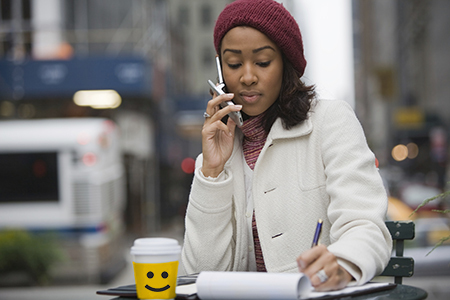 You’d be surprised how much a great start can shape the rest of the phone interview. To put it bluntly: “If you aren’t confident in the phone interview, the hiring manager is going to assume you aren’t confident in person, so you probably won’t get a second chance to make a better impression,” says Jené Kapela, who not only owns her own consulting firm specializing in leadership but also has had over 10 years of experience as a hiring manager. To convey confidence and enthusiasm— always be professional, energetic and positive in your tone of voice. Smiling can help boost your tone and project your voice positively. Practice your pace. Remember: “You want this to be the best phone call they've had all day,” says Emily Ceisel, HR practitioner and hiring manager. First of all, driving while interviewing can be ridiculously dangerous! “The candidate is distracted and at times very unclear,” says Gail Tolstoi-Miller, CEO at Consultnetworx, a national consulting firm and Speednetworx, a speed networking event company for Fortune 500 companies. This happened to Lisa Quast, a former executive vice president and general manager of a Fortune 500 company with over 20 years of hiring experience, as well. When interviewing a candidate, “I could hear everything, from the traffic noise, to ambulance sirens, to the job seeker stopping at a service station and filling their car with gas,” Quast says. We get that you might be super busy, but always make time to take the call in a private, stationed area with strong reception. Making it tough for your interviewer to hear you is a fast way to lose their interest! Honestly, “landline is always preferable,” Tolstoi-Miller says. It simply removes all risk of low reception and offers minimal distractions. If you have to use your cell phone, make sure you’re not distracted by incoming emails, texts, Facebook notifications, Instagram hearts, etc. (the list can go on for miles). This is a very specific example of a larger, important lesson of researching before the phone interview! Elle Kaplan, founding partner and CEO of LexION Capital Management, is often mistaken for Mr. Kaplan by candidates. It’s pretty off putting for her, considering her firm is the only 100 percent woman-owned asset management firm in the US. Talk about embarrassing! “My bio and picture are on the [company] website,” Kaplan says. Overall: “Doing background research before you have an interview is essential," she adds. Avoid making these gross factual errors by researching the company thoroughly. Check out the company website, social media profiles, recent news articles and LinkedIn members to double check names and events. Also, check out great interview tips for each company on CareerBliss reviews to get an even bigger leg-up. Since you can’t really see the interviewer’s reaction, it can be hard to gauge whether or not you’re doing well or answering thoroughly enough. 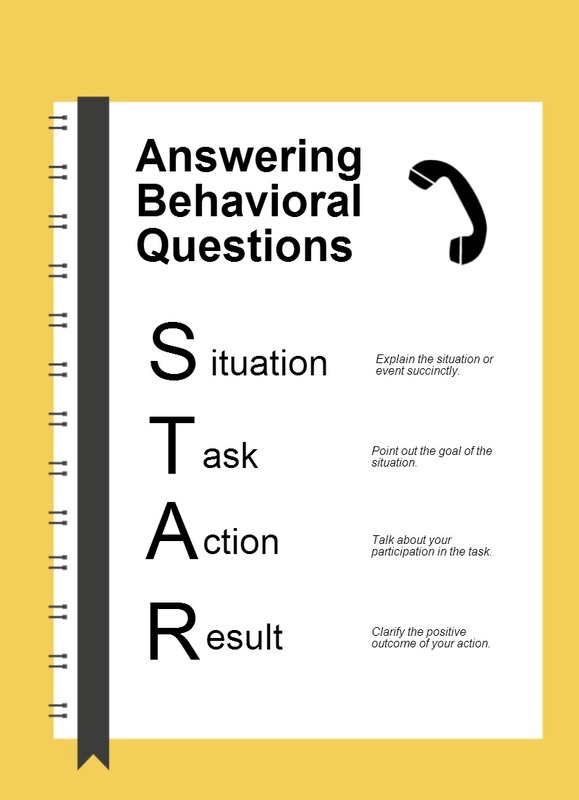 One great way to preemptively work through this is to use the STAR method as suggested by Ceisel. “Explain the Situation, your Task, the Action you took, and the Result,” Ceisel says. “Most often, candidates forget to share the result, which is the most important part.” It helps to print out a hard copy of a list of the achievements that you want to make sure you cover in the conversation. What type of position are you looking for and why? Why do you want to leave your current job (or previous job)? When are you ready for an in-person interview? When would you be able to start?